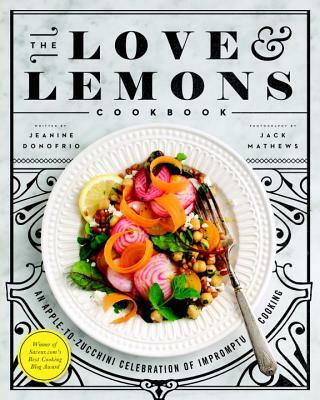 Jeanine Donofrio is the author of The Love & Lemons Cookbook: An Apple-to-Zucchini Celebration of Impromptu Cooking, Love & Lemons Meal Record & Market List, and Love and Lemons Every Day. "Happiness itself is tossed into every bowl," The New York Times said of her first cookbook, while Bon Appétit hailed it as "the most beautiful cookbook we've ever seen." Jeanine has been featured in People, O:The Oprah Magazine, Self, Shape, Mind Body Green, Design*Sponge, Redbook, Food52, Refinery29, and many more. As author of the popular Love and Lemons blog, she partners with leading brands, including Whole Foods and KitchenAid. She and her husband, Jack, cook and photograph from their home in Chicago while their two Shiba pups help clean up the kale stems that fall on the kitchen floor. "Jeanine makes fresh, vegetable-centric cooking easy and practical. Even if you’re short on time, money, or skill, Jeanine has got you covered with a plethora of inspiring tips and recipes."